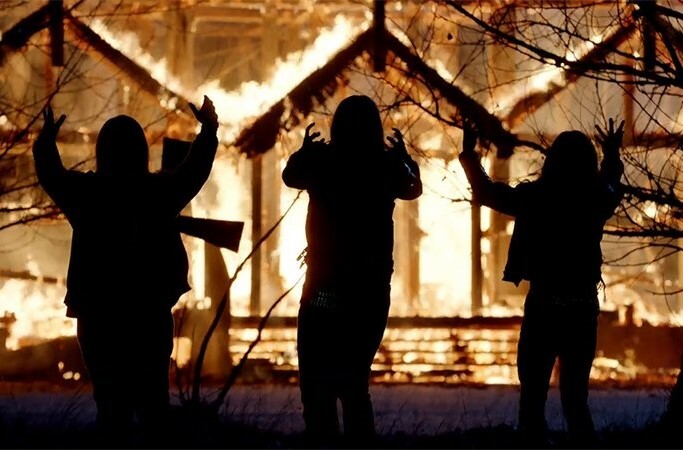 A trailer has gone online for Lords of Chaos, Swedish director Jonas Åkerlund’s ode to Norwegian black metal pioneers Mayhem — a band so diabolically disturbed they make Slayer look like choir boys. Rory Culkin stars as the group’s founder Øystein Aarseth, know by his stage name, Euronymous. In addition to kickstarting the death metal scene, Mayhem is infamous for torching churches, satanic shennanigans, and the violent demise of its founding members. The film arrives in theaters Feb. 8 and On Demand Feb. 22.